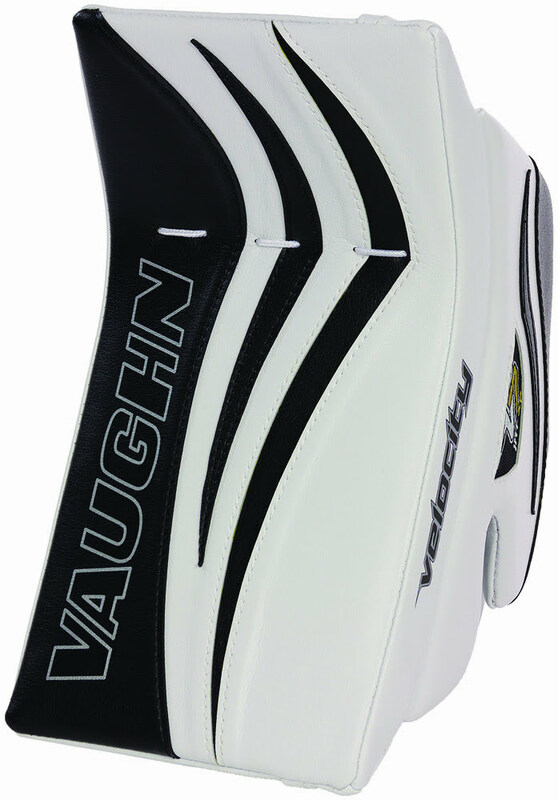 Vaughn Velocity V7 XF Intermediate Blocker | Sports Etc. 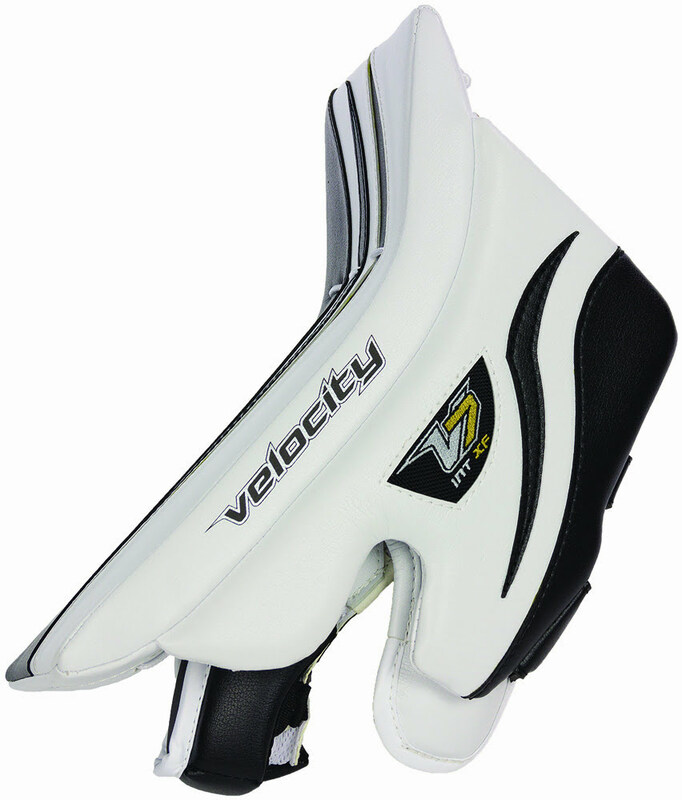 The Velocity V7 XF Pro blocker features a no binding front blocking board surface and incorporates an Ultra-high density internal foam core for lighter weight and added protection under extreme impacts. The bottom edge of the board is beveled to allow the blocker to get tight to the ice and reduces weight on the lower end of the glove for improved balance. 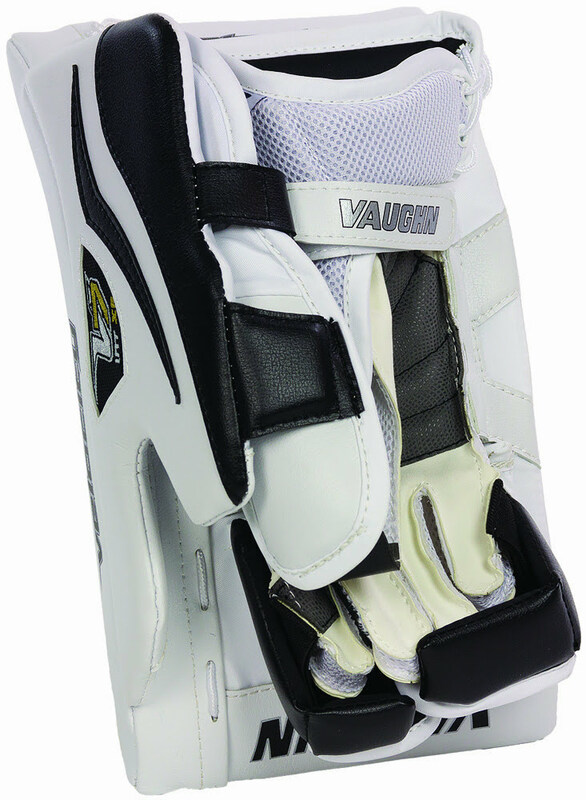 Full Pro Spec construction adds durability and protection giving the glove the ultimate in performance. Sports Etc Performance To Value Rating– 9 out of 10- Excellent value blocker, fit for all skill levels.